Set up the meter according to the specific directions that come with your meter. 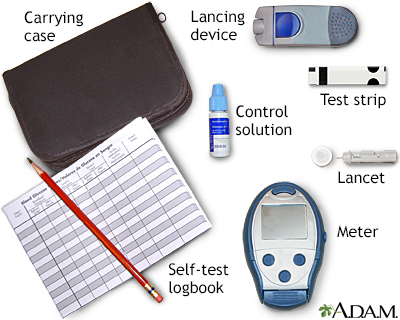 Get the supplies ready, including a new test strip and disposable lancet. Place the lancet into the lancing device. Insert a new test strip into the meter. Wash your hands. 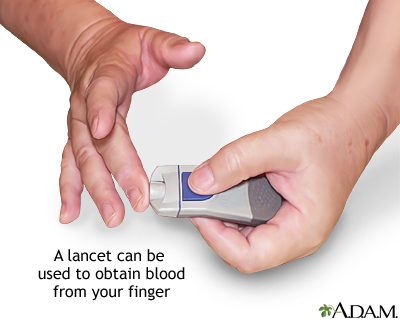 Then gently prick the side (the less sensitive part) of your finger with the lancet to draw out a drop of blood. 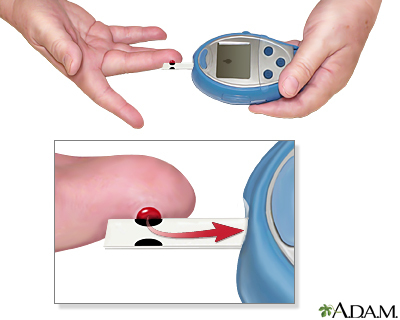 Touch the test strip to the drop of blood. The blood is automatically pulled into the test strip. 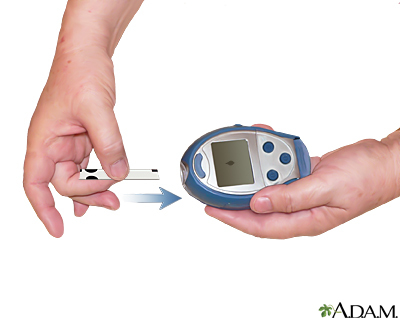 The meter then calculates your blood glucose level. 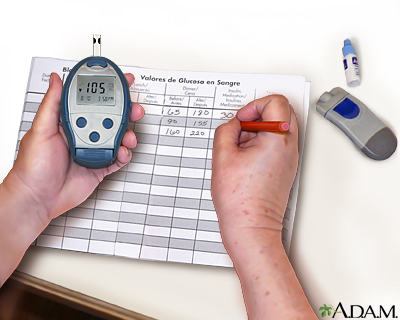 In your logbook, record the time of day and the blood sugar reading that shows on the glucometer. Some meters keep a log automatically.